When done properly, hardscaping can transform your North Georgia lawn or garden making it more beautiful and more usable. Hardscaping simply refers to the man-made features used in landscape design. 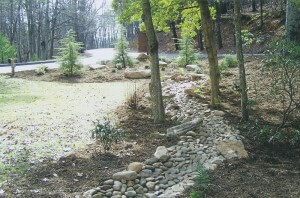 These features include things like water features, rock gardens, decks, patios, retaining walls, and walkways. When properly designed and installed, hardscaping can drastically change and enhance your lawn or garden’s appearance and functionality. Hardscaping can beautify an area and help delineate green space and space for use. Hardscaping is also a great investment as hardscaping materials like concrete and stone rarely need to be replaced and require a relatively small amount of upkeep. Small Patios – A small patio can be the perfect compliment to a small area. If you have enough space for a small cafe table and a chair or two, we can provide a nice spot for you to enjoy your outdoor space. Retaining Wall or Raised Planters – These hardscaping features add dimension to a space and can help achieve height with plants to create a lush, private feeling. Firepit – There are so many options these days for compact fire pits and fire tables that you can add a cozy winter spot to even a very small yard. Regardless of your hardscaping needs, Whispering Springs Nursery is the premier North Georgia landscape design and installation specialists. No matter the size of your space, we can help you design the perfect lawn or garden for your family. Gibbs Gardens – This large garden offers a variety of wonderful experiences including their Japanese Gardens, the Monet Waterlily Gardens, rose gardens, sculpture gardens, and more. Ball Ground Botanical Gardens – This wonderful little garden is located right next to city hall. While it’s smaller than the others on this list, it’s a unique garden that packs quite a punch into a compact area. The bridges and butterfly garden are especially nice touches. 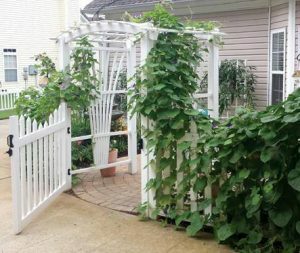 Smith-Gilbert – This little Kennesaw gem of a garden features over 3000 different species of plants! Atlanta Botanical Gardens – This one is a little bit a drive, but if you’re willing to go the extra mile we think you’ll be happy you did. The Atlanta Botanical Garden is a huge, 30 acre garden located in the heart of Atlanta. In addition to its many breathtaking floral specimens, their unique Canopy Walk is not to be missed. Once you’ve gotten a little inspiration, come visit our Jasper Georgia nursery and make all your garden dreams come true! Our expert staff is incredibly knowledgeable and is more than happy to help pick the best plants for your garden. We also offer North Georgia landscape design and installation (including hardscaping and softscaping), so we can help make even the largest garden apparitions become a reality. Spring is here, and that means it’s time to give your garden a little attention. 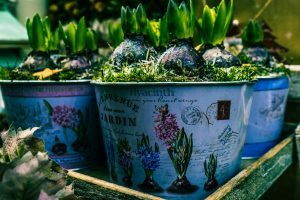 Here are a few spring gardening tips to help determine what plants should be harvested and cycled out and what new plants are in their planting season. Leafy greens, like kale and collards, are hardy plants generally planted in the fall. If they’ve survived our Georgia winter, now is the time to harvest them. Likewise, collards and cabbage are also harvestable now. If you have any root vegetables left in your garden, now is a good time to harvest them too. Alliums, garlic, broccoli, cauliflower, peas, beans, and onions are all having their harvest season right now. If you have many herbs in your garden, go ahead and harvest your parsley, cilantro, chives, mint, thyme, and dill too. Now that you have made a little more room in your garden, you should have room to plant some new plants. Right now is a good time squeeze in a second round of turnips, mustard, and radishes. Beets, carrots, various lettuces, peas, Irish potatoes, and spinach will also do well if planted now. Don’t get overwhelmed trying to plan your garden because our Jasper Georgia nursery is here to help! At Whispering Springs Nursery, we have the perfect plants for your Georgia garden, and one of our specialists can even help you pick the right plants for you based on the season and how much sunlight and rainfall your garden gets. And if you’re looking to beautify your whole yard, we offer North Georgia landscape design and installation too! Punxsutawney Phil was right – spring has sprung! Flowering trees and shrubs in North Georgia are already showing their colors, and along with the profusion of blooms, we’ll soon be doused in the familiar pollen that accompanies them. 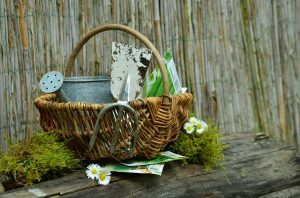 If you haven’t started preparing your garden for spring, now’s the time to grab your spade and get to work! 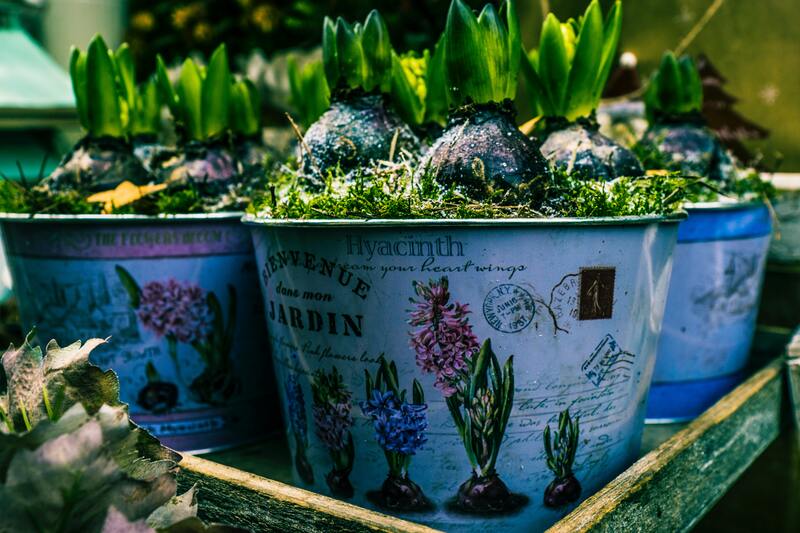 Here are some spring gardening tips to help you prepare for the growing season! Get rid of debris – Clean up any dead plants, weeds, leaves, and fallen branches. This is also a good time to prune if any of your perennials have gotten a little out of hand. Clean and organize your tools – A little soap and water should take care of most tools, and mineral spirits can be used on wooden handles to help keep them from cracking. Refresh your soil – Start by raking and tilling your soil. You will also want to add a little compost or manure to help keep your soil nutrient-rich. Make a plan – We can help! 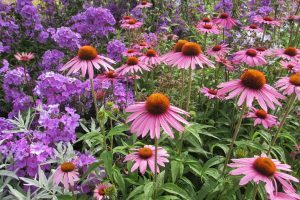 Consider what you want out of your garden, from deer-resistant plants to pollinator-friendly blooms, low-maintenance landscaping to show-stopping stunners. 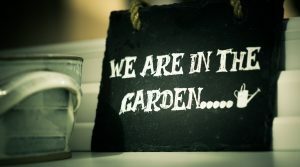 Whatever your garden goals may be, we can help you bring them to life with North Georgia landscape design and maintenance, hardscaping and softscaping, and our amazing Jasper nursery full of woodland-friendly plants that perform well in the low mountain environment of Pickens County. Contact us at 770-893-1254 for more info about our plants and lawn care services! If you’re considering hiring a commercial landscaping company, you’ve come to the right place! Read on to learn how commercial landscaping can not only take a chore off your to-do list but can also help your business grow. What does your landscaping say about your business? Lush, tidy, thriving landscaping shows that your business is thriving as well. However, if your landscaping is sloppy, sad, and struggling, potential customers may perceive your business to be that way as well. Curb appeal isn’t just for selling houses, it can also help you sell your products or services to potential customers! Professional commercial landscaping can attract the attention of passers-by, helping your business to stand out from your neighbors and competitors. Something as simple as a flower bed around your sign can capture attention and get people interested in your business. People hire you or buy from you because you’re an expert at something. However, no one is an expert in everything! We can help you choose the perfect plants for your business, so you can feel confident that your landscaping will stand the test of time and even grow better with age. Owning a business means wearing many hats, but sometimes it’s best to delegate certain tasks so you can focus on what you’re passionate about. If you’ve ever considered hiring a commercial landscaping company, get in touch with us to learn more about our services! We have the passion and experience to give your commercial property a great look, whether you need help solving a landscaping problem or just want to add some style to your property. Bee Kind With A Pollinator-Friendly Garden! National Honey Bee Awareness Day is August 18th. Celebrate by doing your part to help stop the global decline of bees. Bees are responsible for pollinating a huge percentage of the food we eat. They also help control many pests that destroy crops. Unfortunately, global bee populations are declining at an alarming rate. A major factor to this decline is mass lost of habit. Thankfully, there are a lot of things you can do to help make your yard and garden bee-friendly! 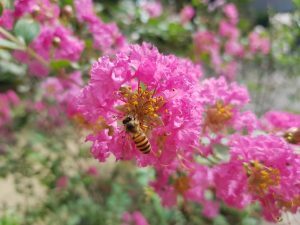 Crape Myrtle – This beautiful non-native ornamental is attractive to both bees and people! Coral Honeysuckle – This lovely ground cover is perfect for adding a bit of color to your space and bees love it. Cethra – This a shrub with gold foliage. It’s known to attract butterflies and hummingbirds in addition to bees. Flowering Quince – This plant grows 4 to 6 feet tall and boasts a beautiful red flower. Of course, there are other things you can do to help. Buying local raw honey and organic produce helps. So does leaving out water for your bees. Incorporating a birdbath or small water feature into your yard can give bees a much-needed spot to rest and re-hydrate. Ready to make your yard or garden more bee-friendly? Then contact us today at 770-893-1254 to let Whispering Springs Nursery help you select the pollinator-friendly plants that are right for your home. Our plant nursery, landscape design, hardscaping and softscaping, and landscape maintenance services can help you realize the potential of your outdoor spaces. Many people make the mistake of mowing their grass too short. When grass is cut too short, the water that the soil has stored dries up and grass quickly turns brown. 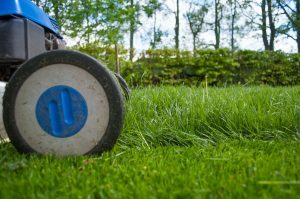 When you mow, make sure your lawnmower is set to the highest blade setting, so it leaves plenty of grass. Due to the summer heat, you’ll want to make sure your grass is well hydrated. However, it’s important to know when and how often to water your lawn. In general, your grass needs roughly one inch of water for optimum growth (yes, rainwater counts!). Water your lawn early in the morning or late in the afternoon to avoid the summer sun from evaporating the water. When you see leaves and twigs on the ground after a rainstorm, do your best to rake them or remove them as soon as possible. It’s important to keep your lawn free of debris so your grass is not suppressed. Also, this allows the sun to reach the soil and help your lawn grow green and full. These summer yard maintenance tips may seem overwhelming, but we promise that they will transform your lawn into a beautiful haven. If you want our team to help, we’d be more than happy to! We offer yard maintenance services – from pruning trees to maintaining ponds – the team at Whispering Springs Nursery is here for you. Contact us today with your questions. 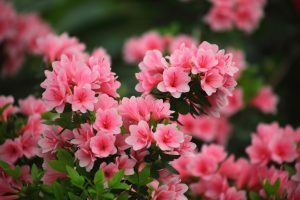 If you have an empty area in your lawn or want a simple shrub to compliment your blooming azaleas, boxwood shrubs would be perfect. These easy-to-maintain shrubs provide a stunning look to your landscape. When you plant them, make sure to put them in an area with a lot of light. Additionally, boxwood shrubs need plenty of deep watering for at least the first two years so they can thrive. If you’re searching for a shrub that’s beautiful and produces pleasant-smelling flowers, look no further than the gardenia shrub. This shrub produces shiny, green leaves and stunning flowers all summer long. (They love the summer sun!) 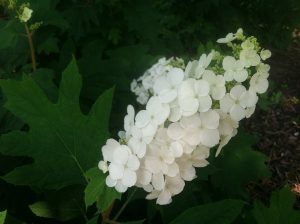 Because these shrubs have a re-blooming capability, you can enjoy these flowers through the fall season. The team at Whispering Springs Nursery would be more than happy to help you pick out the shrubs for your outdoor landscape. Come by our nursery or contact us today with your questions. Container gardens are all the hype this year – and for good reason! They are easy to make, easy to maintain, and even easier to start. This “garden in a box” is exactly what it sounds like – your favorite plants potted in a container and placed in a spot where they can flourish. A little TLC, sunlight, and water are all you need to help your plants grow. Are you ready to get started? First, you must decide what plants you want in your container garden. Your container garden can produce vegetables, fruits, or flowers – whatever you fancy! Once you decide on what you want to grow, research what that plant requires to grow. For example, tomatoes need a container with a good amount of depth for the roots to grow; herbs and lettuce require a shallow container with a wide surface area. Of course, all plants need sunlight every day and plenty of water. Your plant of choice will make the top of your container garden look beautiful. But, you can also make the container itself stand out! For example, choosing different containers (buckets, pots, crates, boxes, etc.) of all different sizes and colors will help make your container garden unique. You won’t have to go far to find the perfect container garden plants for your home. At Whispering Springs Nursery, we have a plethora of plants for you to choose from. Or, you can have one of our specialists put together a unique container garden for you! Contact the team at Whispering Springs Nursery with any questions you have. Spring has sprung, and the first official day of summer is weeks away. You’ve likely been busy in your garden since March, but the work isn’t done yet. For many, it’s just beginning. But don’t worry – your hard work to keep your garden healthy will be extremely rewarding. You may see an influx of weeds in your yard during June because weeds LOVE the warm weather that summer brings. But, if you spot them early when they’re still small sprouts, they’re easy to pull. Make sure you pull them at their root, so they can’t grow back. If you have a garden, spreading mulch over your soil is one of the best ways to keep your soil healthy. The mulch provides a much-needed barrier from intense weather conditions and pesky animals. A two-inch layer of mulch is the perfect amount to spread over your soil. Throughout the summer, many critters will want to make a home in your garden. (Can you blame them? Your garden is beautiful due to the jaw-dropping plants you bought from our nursery.) So, make sure you keep an eye out for pests that may harm your plants. Take the appropriate measures to ward them off or eliminate them if they invade. At Whispering Springs Nursery, we are dedicated to helping our customers make the garden of their dreams. Let us know if you have any questions. One of our team members will gladly assist you!